In the last decade, I’ve spent over $5,000,000 on FB ads for brands like LivingSocial, Tinder/Match Group and more and hardly a week goes by without a message from someone asking for Facebook Ads advice before they start their first ever campaigns. I actually now offer cheap video consultation calls just so I can help people review their Facebook Ads campaigns but on top of that, I thought I’ve given some advice that will shorten your Facebook Ads learning curve and hopefully help you win faster. Facebook now has roughly 7 different ad units you can test. Single Image, Carousel, SlideShow, Video, Lead Ads, Messenger Ads, and Canvas ads. I say roughly because you can turn on different conversion focuses and mix and match combinations to create literally an infinite number of different types of ads but let’s just focus on those 7 for now, as I don’t want your head to spin. When starting your Facebook campaigns, or any advertising campaign for that matter, it’s vital to the campaign’s performance to diversify, much like stock investing. The benefit here is to test everything against themselves, and then reduce what’s not converting at the level you need, to get to your optimal CPL as quickly as possible. If we were talking about Google Display campaigns, I would say make sure you create every single potential ad size, but the same goes for Facebook Ads. Make every available type of ad unit and then let them compete to see which one converts best. The more you create, the better your chances are of finding a super-cheap hyper growth channel. As of late, video ads have been working the best for me, but you may see different performance, as it depends on your target, content and audience. It all depends on your target demographic and your content. If creating a video is too painstaking, then use a slideshow of images. Test it, see if it works and then if it does, invest in making videos from scratch. The point here is to just test a lot more than basic text and image ads. I’ll often create ad variations with long-form text and short-form text. Testing a few words vs. a paragraph of text. There’s no sweet science here but again, I’m trying to make as many variations as possible, in order to find exactly what converts best for my target. In the end, I see 50/50 results here, but when you’re bidding low (I’ll get to that strategy below) it’s key to try different variations of ads and then pause the ones that are not converting. This will drastically drop your CPC and CPL. So try different variations of text lengths like the below ads and see what works best. Short form ad text (above) vs. long-form text (below). Which do you think is better? Don’t follow your gut, let the data tell you what your viewers like the most. Inside of your campaigns, when you’re setting up an Ad Set, towards the bottom you can select Placements. Most Facebook Advertisers will just leave it to Automatic as Facebook says this is “Recommended”. In my opinion, however, this is complete BS. Automating this will mean your ads will show on Instagram, the FB Ad Network (more on that below) and on all devices, and around all kinds of crazy content. Anytime an advertising platform says something is “Recommended”, it’s usually because they will make more money if you select that choice, so don’t do it! Automation in advertising is truly your enemy. It may save you time, but it will cost you money, so take the time to go over every aspect of your ad manually and it will pay off. With regards to placements, Click “Edit Placements” (see below) and then cut the fat out. Some placement tips: The FB ad network generally performs worse than FB and Instagram. This is because these are just apps that Mark Zuckerberg has bought for one reason or another ( like this one) and they still want to monetize. So if your total expected audience size is in the millions already I suggest cutting that out. Going beyond what platforms you show on, you can actually exclude your ads from devices, and content that is off brand too. Mobile traffic is usually lower quality across the board, so if you can, start with just desktop traffic (unless your a fully mobile first project, then don’t do that, duh). I would exclude Adult, Tragedy, Religion and other categories (see image below) as they are all going to decrease your CTR and therefore your relevancy and Conversion Rate. Cut it out. Going with my theme of never trusting any automation or suggestion Facebook makes because they’re all designed for profit, another BS recommendation is the recommended bid price. When you’re creating an ad set it will ask you for a bid price and suggestion something in dollars and I am here to tell you, you can pay CENTS! Facebook will always tell you the bid price is $1-$3 but you can start your campaigns at $.02 if you want to and see if you get impressions. Just enter in $.10 and see if you get traffic. Do it. If you’re not in a super hurry to start spending money you can give the algorithm a few days to train itself and find you leads/clicks/conversions at almost any price. See image below. That is a recent campaign I did for my own brand www.andrewstartups.com. Did you notice the price I paid for visits to my website, and for Likes to my page? Not in Dollars huh? Super cheap, targeted traffic, it still exists in Facebook Advertising but you need to know how to get it. This is probably my most valuable tip that could literally save you 75% of your budget. Bid low, let the algo catch up, then increase the bid to get to the scale you need to see. You’ll save thousands this way instead of doing the opposite. People generally don’t value likes and follows on FB, and for good reason. Unless you’re in the top 10% of engagement of your FB audience, it’s highly unlikely you see a boost in profit with every new Like. Having said that, what is often overlooked is the intangible benefit of having a few thousand followers, over a mere 200. Investors, prospective partners, hell even interested potential customers often check for a brand’s social media following before making a decision. Because of these, I often advise brands to spend a few hundred bucks on boosting their FB following legitimately via some ads that promote the page, with the conversion set as Likes. As you can see above, I did this for my own Facebook Page. You can bid ridiculously low and just keep it running till you hit the numbers that you feel give you a nice look online. If you’re spending thousands on ads, spend a little bit on Likes. It’s worth it. Facebook doesn’t really say this outright, but it’s been my experience that making daily changes to your Facebook Advertising campaigns will cause the algorithm to get confused and drastically drop your impressions, thus affecting overall performance. Even changing daily budgets every day can cause a drop-off. The solution? I recommend just a weekly review of your campaigns and one-off changes every week. You can still monitor and pause campaigns but limit your changes to once a week. If you do notice a drop-off in impressions, try Duplicating the campaign, and pausing the original. Give the copy a few days to regain speed and you should be good. Leave the old one paused forever and start anew. A lot of people don’t realize that Google is truly no longer the leader in Remarketing. You don’t need PerfectAudience, and Adwords really has been decreasing in success for me vs. Facebook. Facebook has the easiest Remarketing capabilities to set up. At the Audience selection section, simply click Pixel and/or Website30 to start advertising to the people who’ve previously visited your website. Select WebsiteLast30 and Pixel to retarget to people who’ve already visited your web properties. If your audience is too small you can extend via Lookalike Audiences, as I did above. The larger the number, the weaker the Lookalike will be. Facebook now has an account management army. Often you’ll see a pop up in your Ads Manager offering you a free consultation chat with a “Facebook Advertising Expert”. I highly suggest you take the chance to speak with them seriously. Having said that, you should keep in the back of your mind the fact that their final goal is to get you to increase your spend, so take all of their suggestions with a grain of salt. Even I talk to FB as often as I can, because they’ll tell you about trends their seeing in the algorithm, new ad units being rolled out and overall it’s just nice to have another set of eyes looking over your campaigns to make sure you haven’t missed any opportunities. 10. New Targeting options are your friend. Nowadays Facebook’s targeting abilities have advanced further than we all expected they would ten years ago. Through partnerships with organizations like Experian (Yes, Facebook knows your credit card info) and others, Facebook knows your net worth, your purchasing trends and your job. When it comes to targeting your audience, test a lot more than just their location and what they’re interested in. There are loads of different targeting methods from occupation: To affluence level: To overall income level: You can also exclude things too, so if you can think of another layer to exclude it will only make your campaigns that much stronger. Ok there you have it, those are my ten best free tips for Facebook Advertising. Got some tips you want to add? Comment below. Thanks for reading. If you’re interested in what I do with Facebook, check me out at www.andrewstartups.com. Andrew Miller has spent 12+ years growth hacking startup wins from Dubai to Silicon Valley. After three successful, multi-million dollar startup exits as Head of Marketing, he founded the early-stage startup marketing consultancy AndrewStartups in 2016. Since then he’s launched and grown tech projects in over 10 countries. He also has lectured on growth hacking at incubators/accelerators around the globe. 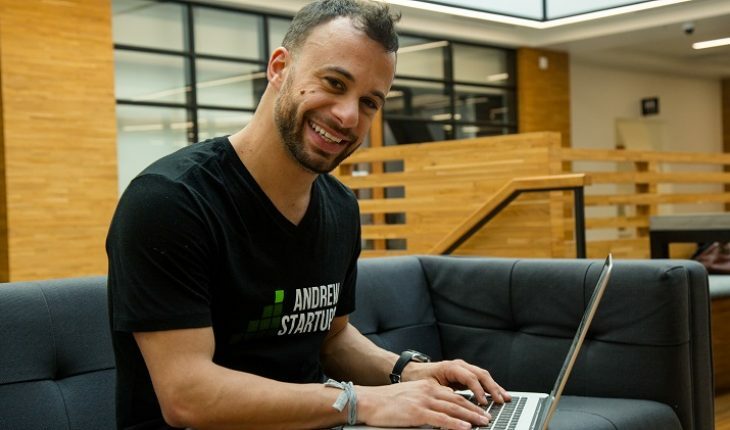 Andrew’s worked with both 500startups and Y Combinator projects, written for StartupGrind, INC magazine and more.